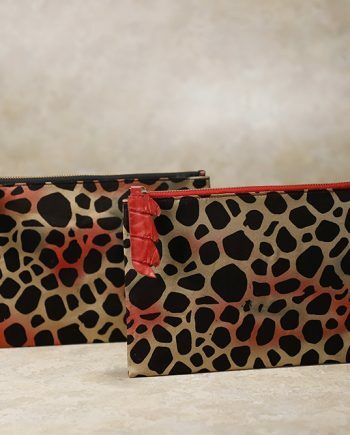 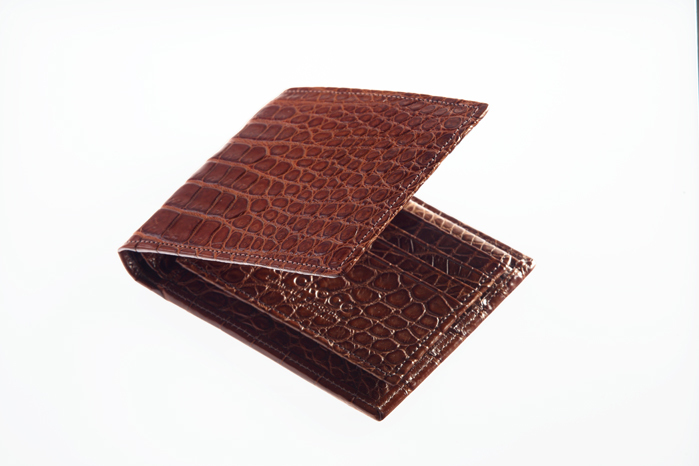 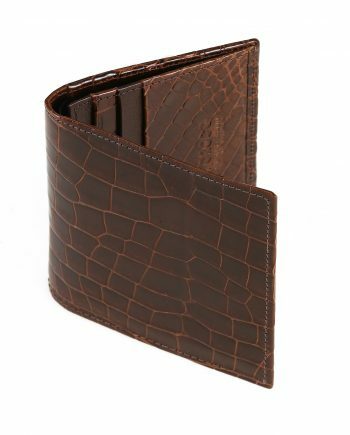 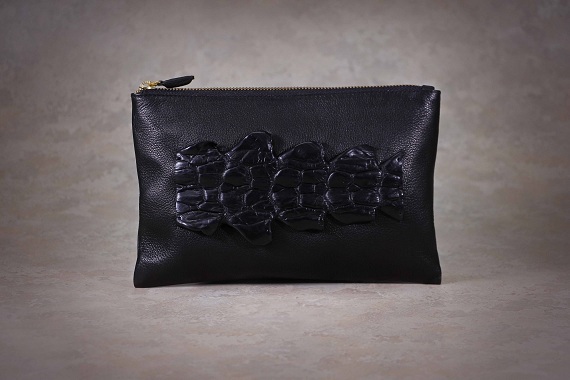 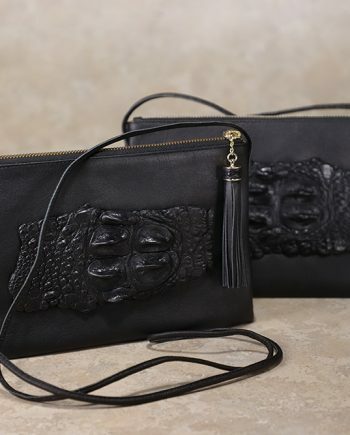 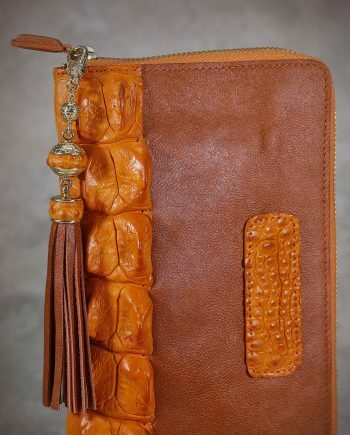 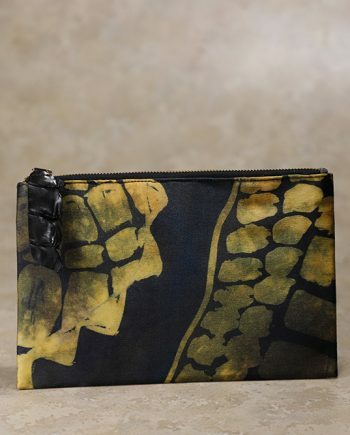 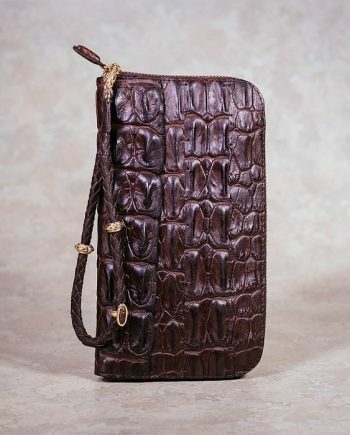 Description: Large crocodile skin hip wallet. 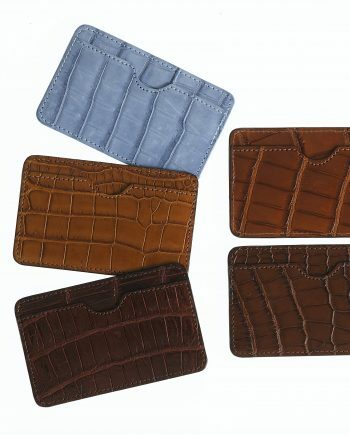 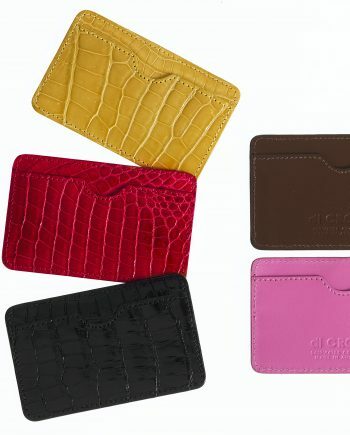 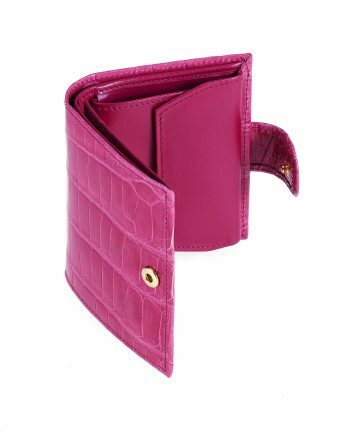 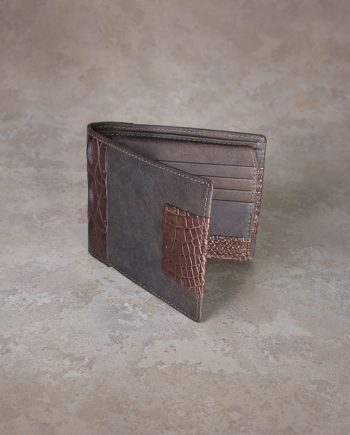 Internal pockets: 2 x note pockets, 1 x 4 card pockets, 1 x ID pocket, full crocodile skin internal. 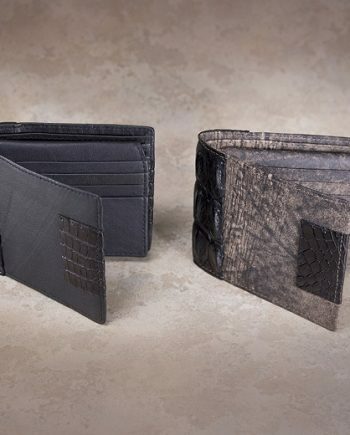 Matte finish only.